Need some assistance selling Voloper modules? 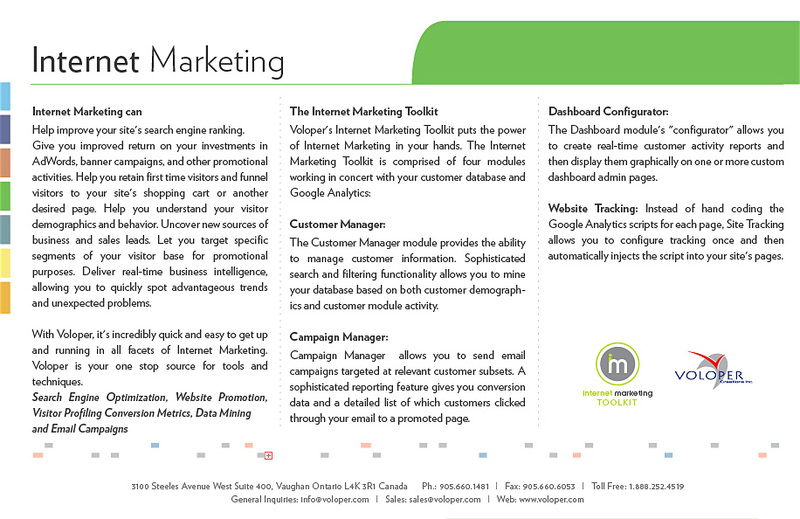 Find some brochures to take on your sales calls. Social Media offers Internet users a stunning range of free and low cost services that allow you to connect and interact with communities. 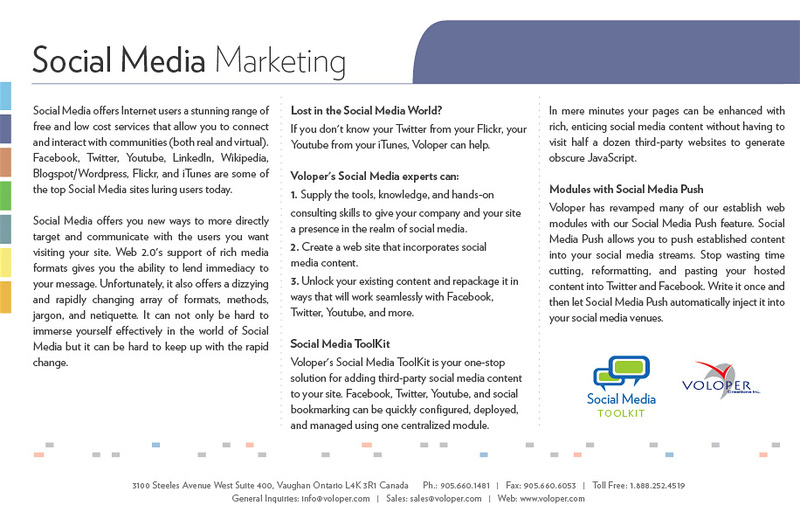 Voloper offers the tools that bridge the gap between Social Media and the website. With Voloper, it's incredibly quick and easy to get up and running in all facets of Internet Marketing with our Customer Manager, Campaign Manager, and Dashboard Configurator. 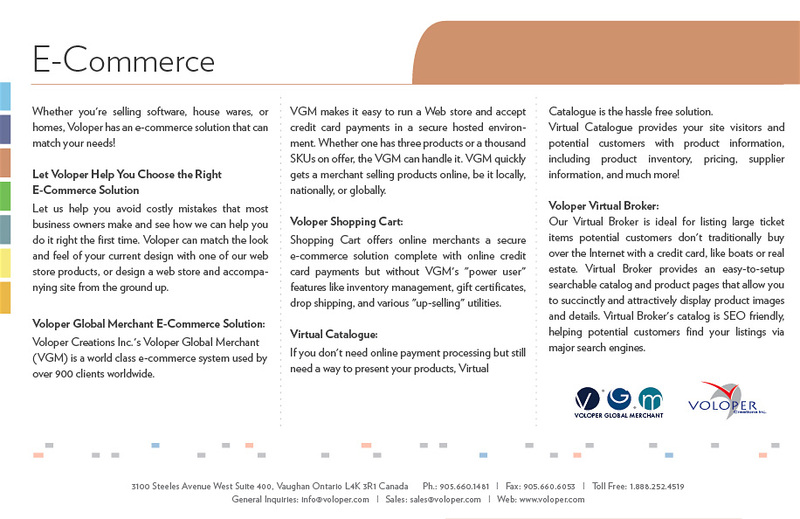 Whether you're selling software, house wares, or homes, Voloper has an e-commerce solution that can match your needs!